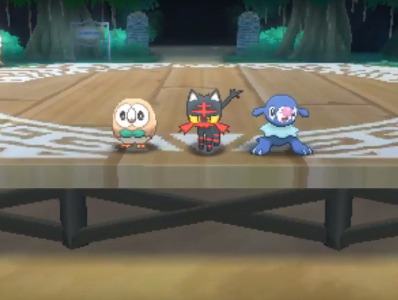 With the most recent videos and images released for Pokémon Sun and Moon we are beyond excited for the new starters, the legendary Pokémon and the entire Alola Region. 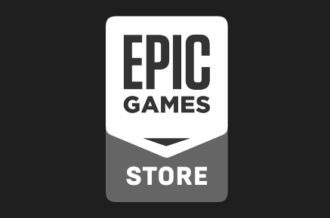 We cannot wait for even more information to come in the future, but with the bits and pieces we’ve gotten so far, there is a lot more to speculate, determine and confirm. 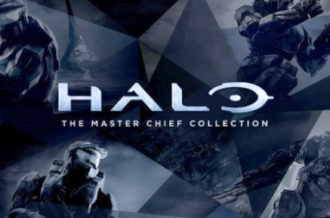 Here are some cool things we found out from this new generation reveal. There are always a lot of weird or unknown items found in Pokémon games. Sometimes they go unexplained like the Strange Souvenir. 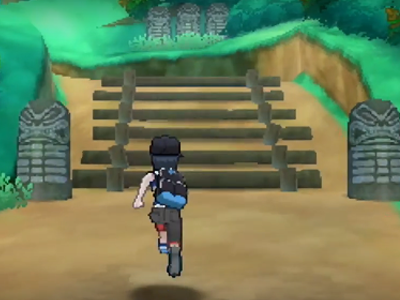 In the recent gameplay footage of Sun and Moon we catch a glimpse of some unique statues. They are rounded, dark in color and have various markings along the front. They appear to have a facial patter at the top but at the moment there has been no information. 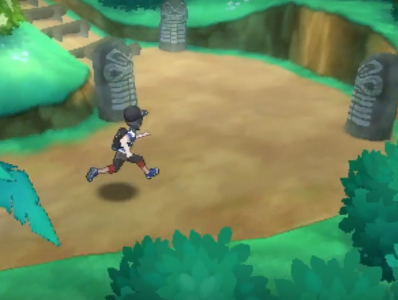 They even show up guarding what looks to be a cave outside of where you choose a starter Pokémon. Perhaps there is some hidden meaning to these or purely used as decoration around the region. We will have to wait and see what becomes of them. Speaking of things around the area, let’s take a look at some of the landscape. 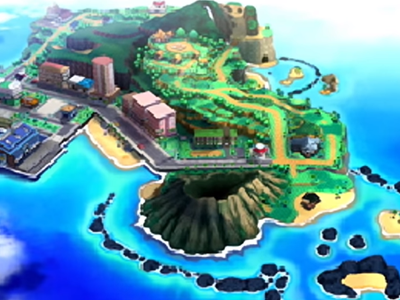 The Alola Region is based on the state of Hawaii which is evident in the Japanese trailer as a young boy and his mother arrive at the airport. 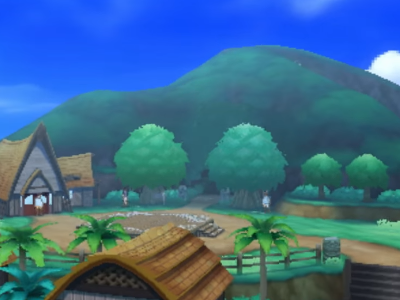 Alola has a few different terrains. Palm trees and colorful flowers dot a countryside setting. There is a sandy beach showing off plenty of ocean since it is modeled after an island. A city is nearby with a few large buildings and paved roads. When zoomed out you see the island doesn’t seem so large but Hawaii is an archipelago which means we should get to visit nearby islands as well. 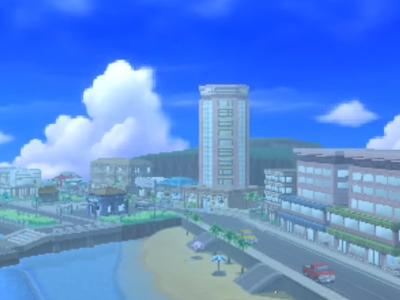 Alola looks like a picturesque vacation destination. 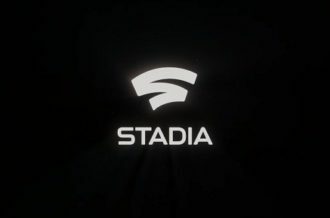 Compared to previous generations, you’re starting out in an area unlike its predecessors which are usually small towns connected to a large land mass. There is bound to be much more to discover. We are curious as to how volcanoes will be implemented in the environment. 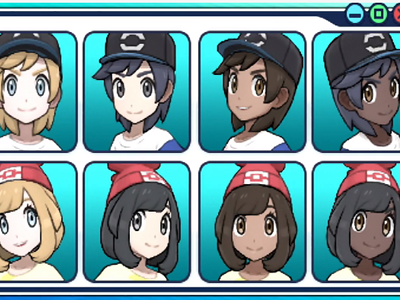 Trainer customization will be making a return after its understandable absence in Pokémon Omega Ruby and Alpha Sapphire. The ability to choose various skin tones is seen in the live action Japanese Pokémon Sun and Moon commercial-style video. 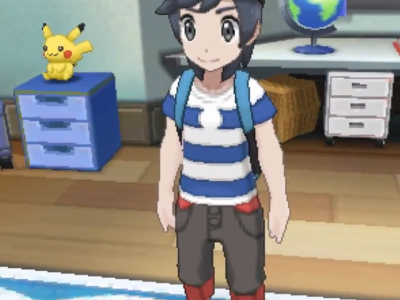 Not only that, but upon close inspection of the starter reveal trailer, the male protagonist’s pants and shirt change color during his introduction to what appears to be his friendly rival. The shirt stripes are blue and white in the beginning of the video before turning black and white. 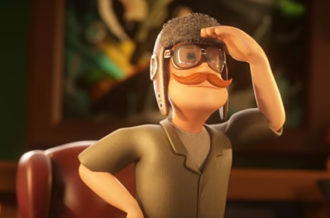 The short have red bands around the legs in most of the scenes but grey ones when meeting another character. We look forward to dressing in all of the latest Alola fashions! On the official Pokémon Sun and Moon website, each starter gets its own biography page. While the majority of the information pertains to the Pokémon’s personality, each page also mentions a beginner attack that matches their respective types. 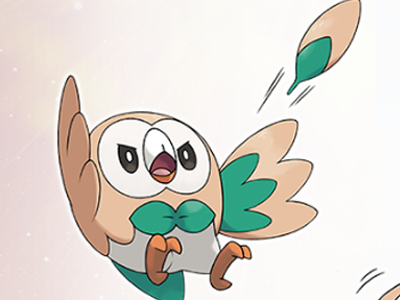 Water Gun and Ember were present as expected, but Rowlet surprised the world with a brand new attack called Leafage. 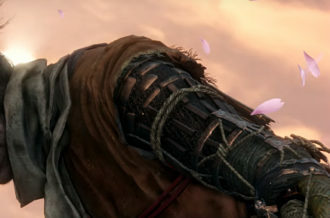 Based on the trailer footage, it appears to shoot as three green orbs then turning into brown leaves after hitting its mark. Its power level and category is unknown, but it is likely equivalent to the previously mentioned Water Gun and Ember, making it a Special Grass move with a power of 40. Before Leafage, the usual beginner Grass attack was Vine Whip and it has a power of 45. 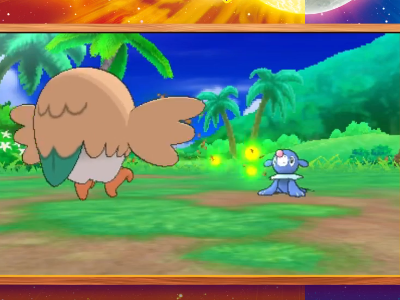 We’ll just have to choose Rowlet and find out for ourselves how it uses the new move! 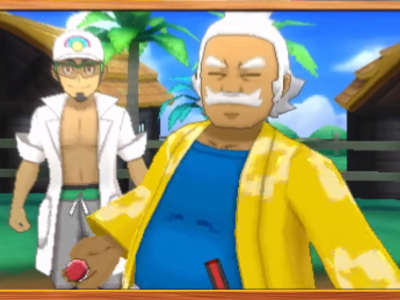 After meeting our male protagonist, the trailer cuts to a welcoming man named Kukui, dressed in a familiar lab coat. Could this be Alola’s Professor? 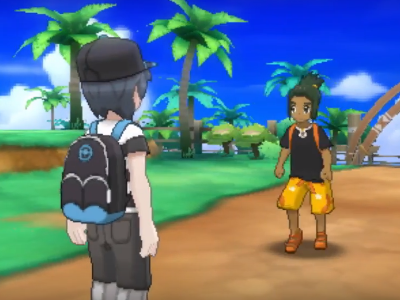 He seems to be of importance, as the boy from the live-action Sun and Moon trailer opens his 3DS for the first time, only to be greeted by Kukui smiling and waving hello. He’s also one of the people present when the brand new starters are summoned from their Poké Balls before being chosen by our hero. While he’s not the one to present the new Pokémon, his frequency in the videos wouldn’t be without reason. Perhaps the most telltale piece of evidence is in his name itself – Kukui is in fact, a species a tree, a name tradition held by Pokémon Professors of all generations. 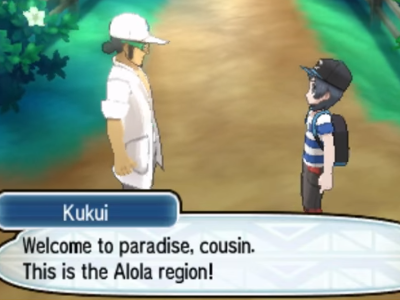 The Kukui tree isn’t just any plant, either – it is the State Tree of Hawaii, the islands of which Alola is based upon. Not just anyone could earn that name! This young professor also bears a wedding ring – perhaps his special someone is important to the storyline? With every new generation of Pokémon, the creators and designers must have some sort of personality behind each monster. We can all tell certain traits for Pokémon based on in-game descriptions but the majority of their character comes from the anime. It’s how we got to see what Pokémon look like from all angles and then some with the old game only showing a flat image. The recent implementation of Pokémon-Amie helps add even more touches to their biology. The official art work of Alola’s starters gives us a glimpse at their unique features. 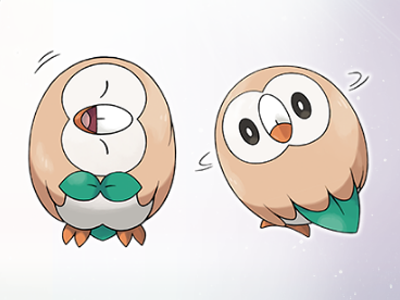 Rowlet, as an owl, can turn its head around. 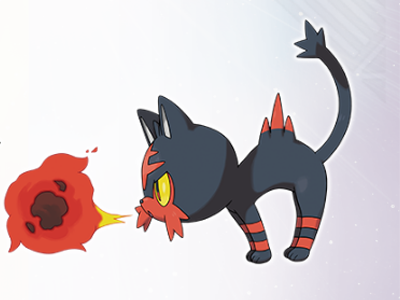 Litten arches its back and reveals red hairs as it attacks with a flare ball. 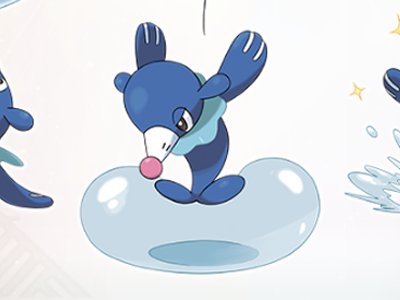 Popplio produces bubbles which it uses to perform tricks. These fun characteristics being shown off so early adds to the layer of personality given to the game as a whole. We can expect more interesting traits from other Pokémon as well. 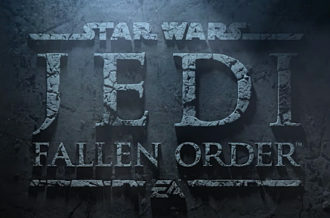 There were so many other interesting notes to make when checking out the game trailers and there may even be something nobody has even spotted yet. Comment below with some other neat features you noticed or something you hope comes true for Pokémon Sun and Moon.